East of 17, GOLF CART RIDE to the Beach, this unique townhouse is a deal, The Pines Complex has been around along time.. but the HOA keeps the complex up with the TIMES.. Recently the HOA Painted the exterior buildings with some updated and in-style colors - along with new roofs and spruced up the landscaping, This unit features 2 baths with 2.5 bathrooms, this unique unit has the living, kitchen and dining room on the second floor, all bedrooms are on the first floor along with the laundry room and awesome foyer, the foyer is open to the second floor - which makes this 1600+ sqft unit seem even bigger, OH did I say it was an end unit? WELL it is ! The seller knows it needs kitchen and bathroom updates that is why they priced it low... So we don't want any low ball offers! All bedrooms have private bathrooms, half bath upstairs with Living area, All bedrooms, dining and living area have balconies or patio areas, Now that is kinda of cool! This unit is not your typical boring unit.. it has character!!! Location LOCATION - Did I say LOCATION? 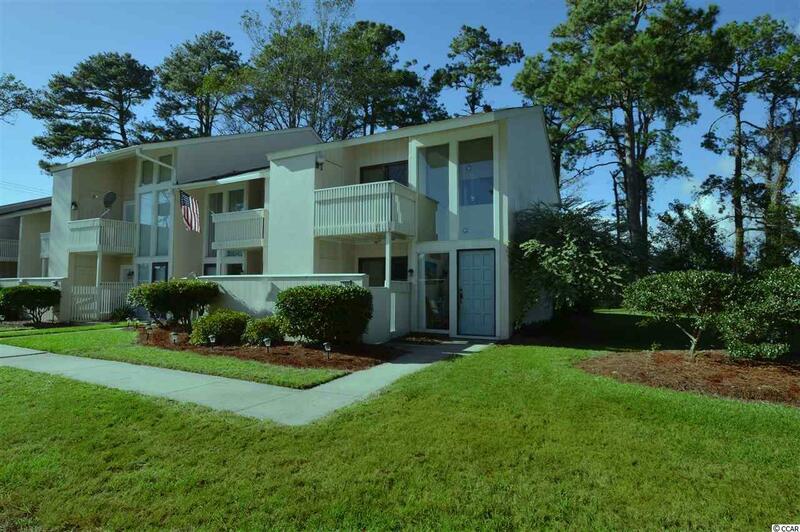 The location is awesome, you can walk, bike or jump on your golf cart to beach, shopping or restaurants, we are just behind the new Publix shopping center in North Myrtle Beach, and across from Mellow Mushroom, and only blocks to the ocean blue, This well established Complex has low HOA fees, Community Pool, and awesome HOA board that keeps the place in tip-top shape! So if you were looking for a 2nd home that will not break the bank, or primary residence that is east of 17 without a paying an arm and an leg for it! YOU HAVE FOUND IT! So HONEY Stop the Car! CALL or TEXT to SEE IT TODAY!